An organization that is close to the heart, Women’s Heart Foundation, is dedicated the the prevention, survival, and quality of life for women and related health issues to the heart. Click here to download their Women’s Heart Foundation Heart Disease Facts. Source: Statistics complied from the National Center on Health Statistics; National Heart Lung and Blood Institute, the American Heart Association, HANES III and the World Heart Federation. for CHD unique to women related to oral contraceptive use in combination with smoking. 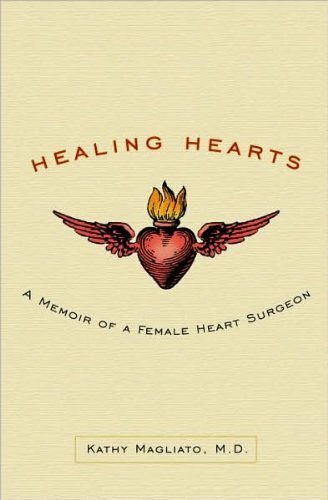 • 8 million women in the US are currently living with heart disease; 35,000 are under the age of 65. Four million suffer from angina. • 435,000 American women have heart attacks annually; 83,000 are under the age of 65 with the average age of 70.4 years. • Under age 50, women’s heart attacks are twice as likely as men’s to be fatal. die each year of congestive heart failure, representing 62.6% of all heart failure deaths. • 71% of women experience early warning signs of heart attack with sudden onset of extreme weakness that feels like the flu. • Nearly two-thirds of the deaths from heart attacks in women occur among those who have no history of chest pain. • Women who smoke risk having a heart attack 19 years earlier than non-smoking women. pressure. High blood pressure is more common in women taking oral contraceptives, especially in obese women. second heart attack in women but not in men. premature death due to cardiovascular problems like hypertension, stroke and coronary artery disease. women ages 55-64 are twice as likely as white women to have a heart attack and 35% more likely to suffer CAD. • Marital stress worsens the prognosis in women with heart disease. angiographic studies being misinterpreted as “normal”. presence of heart attacks in women because “characteristic” patterns of chest pain and EKG changes are less frequently present. improve survival. This contributes to a higher rate of complications after heart attacks in women, even after adjusting for age. will die within one year of a first recognized heart attack. • 46% of women and 22% of men heart attack survivors will be disabled with heart failure within six years. are up to 4 times more likely to die from heart bypass surgery than men the same age. • Studies show women who are eligible candidates for life-saving clot-buster drugs are far less likely than men to receive them. course of treatment for a woman with heart disease has yet to be established. • Women’s hearts respond better than men’s to healthy lifestyle changes, yet 2% of the NIH budget is dedicated to prevention.